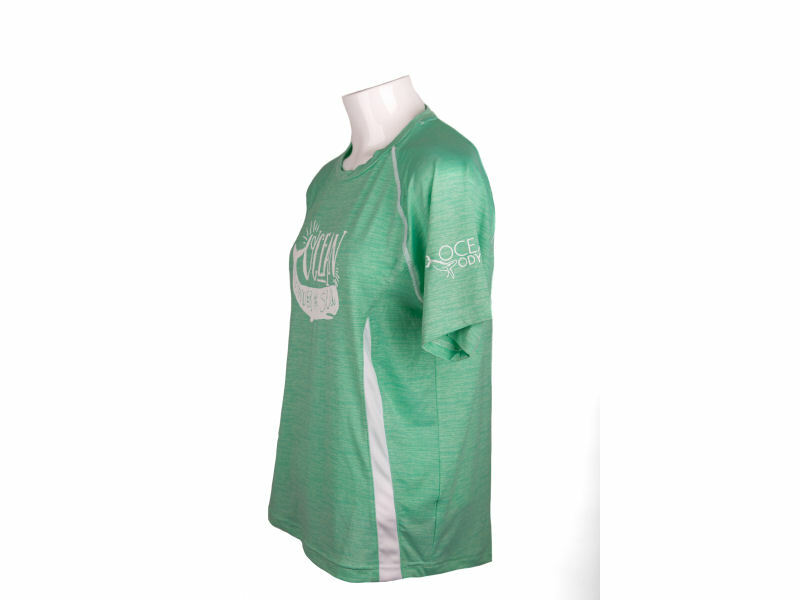 Mint splinter polyester spandex kids shirt . White “Ocean, Under the Sea” with whale print on the chest. White panels on the sides and white stitching on the sleeves. 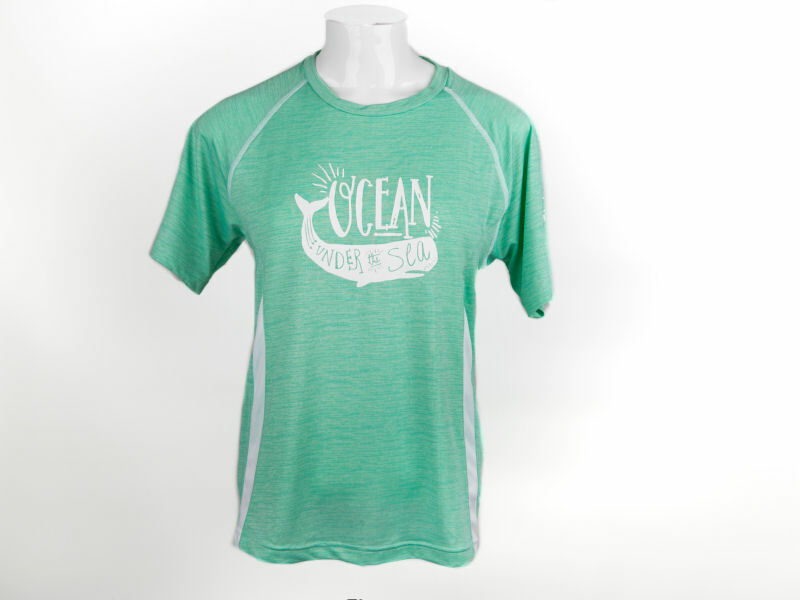 White Ocean Odyssey logo print on the left sleeve.